Republican U.S. Rep. Walter Jones of North Carolina, known for his criticism of the 2003 invasion of Iraq after initially supporting it, died Sunday. His congressional office confirmed his death in a statement, saying Jones died on his 76th birthday in Greenville, North Carolina. Jones began hospice care in January after breaking his hip and took a leave of absence from Congress in late 2018. "He was a champion for our men and women in uniform and their families, always mindful of their service and sacrifice," the statement partially read. 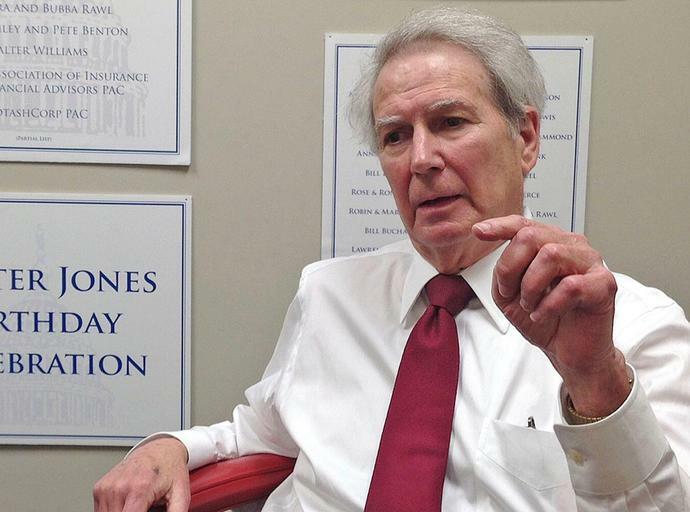 "Congressman Jones will long be remembered for his honesty, faith and integrity. He was never afraid to take a principled stand." Jones had represented the state's third congressional district since 1995. In combination with his service in the state Legislature, Jones held office for more than 34 years. He previously announced his 2018 campaign, for which he ran unopposed in the general election, was his last. Known as a political maverick, Jones was one of the first Republicans to flip positions on the war in Iraq, even as his district included Camp Lejeune and Marine Corps Air Station Cherry Point. He ultimately signed well over 11,000 letters to the families of dead troops, describing that as a penance of sorts. House Republican Whip Steve Scalise said Jones will be missed in a statement. "He was a champion for our nation's service members, seniors, children, and a faithful servant to the people of North Carolina's 3rd District," Scalise said. "Most importantly, he was a dear friend to many of us." Dabo Swinney's quarterback situation at Clemson seems settled for a while. Not many of his colleagues around the Atlantic Coast Conference can say the same thing. Ten schools faced questions of varying degrees of urgency at QB this spring.